Juergen Braehmer says Paul Smith (38-6, 22 KOs) is not on the same level as Tyron Zeuge (20-0-1, 11 KOs) and is confident his protégé will defend the WBA World Super Middleweight title on Saturday, June 17 at the Rittal Arena in Wetzlar, Germany. 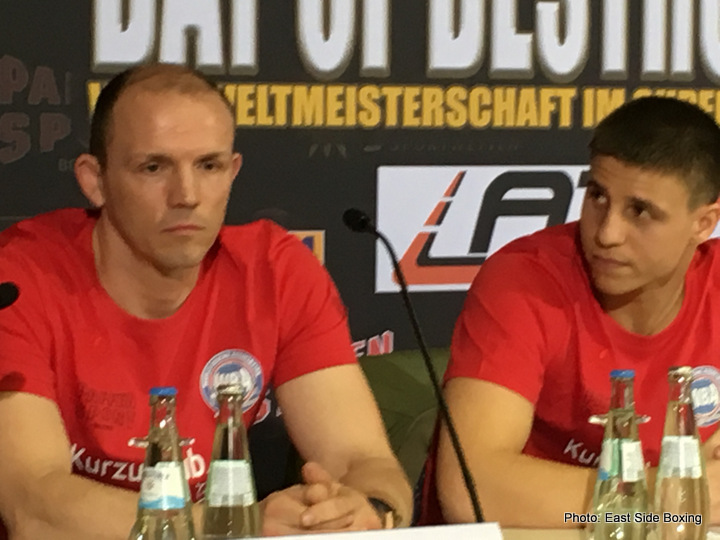 Braehmer, who guided Zeuge to his World title win over Giovanni De Carolis on November 5 at the MBS Arena in Potsdam, believes we have yet to see the best of the Berlin boxer, and expects him to show his class against his British challenger Smith. ‘’We do not underestimate Paul Smith, but if Tyron fights to his full potential, I have no doubt about the outcome of this fight,’’ said the former two-time World Champion. ‘’Smith is a strong fighter. He has a lot of experience, but he’s not on the same level as Tyron. ‘’Tyron is a great fighter but we have still not seen the best of him yet. His last opponent Isaac Ekpo was an ugly fighter. That was not a clean fight and it was not a good night for Tyron, but he defended his title, and he learnt a lot from that fight. ‘’Smith is a different type of fighter. I believe he will bring out the best in Tyron, and I’m expecting a great performance. Tyron has looked good in the gym. Tactically, he’s well prepared. He’s had a lot of tough sparring and his conditioning is better than ever. The WBA World Super Middleweight Championship clash between Tyron Zeuge and Paul Smith will be shown live and exclusive on SAT.1 and ran.de in Germany, and Sky Sports in the UK. Tickets are available via www.eventim.de or by calling +49 (0) 1806-570044. The WBA World Super Middleweight Championship clash between Tyron Zeuge and Paul Smith will be shown live on SAT.1 and ran.de in Germany, and Sky Sports in the UK. Limited tickets are still available via www.eventim.de or by calling +49 (0) 1806-570044. Previous boxing news: Mayweather-McGregor: Can We Just Not Do This Again?